Giovanna was soon to be married to her fiancé, Charlie. I rarely saw them, which made saying ‘congratulations’ difficult; so I invited them out for a coffee. “It’s on me,” I interrupted before Charlie could reach for his back pocket, sliding my gold membership card to the barista, Cindy. I was an active member of the coffee shop rewards system, granting me fifty percent off after one hundred purchases—I am pretty big on coffee. “Thanks Nik!” Giovanna and Charlie replied. “No problem,” I smiled. “They’re getting married,” I whispered to Cindy, pointing at the happy couple. She gazed at them delightfully, placing one hand over her heart. Giovanna and Charlie smiled back, cheeks painted bright red. “Oh speaking of weddings Nik, you must attend mine and Gerti’s,” Cindy invited while swiping my card down the credit slot. “It will be in December, on the fifteenth,” she said, handing back my card. “It’s another wedding, isn’t it?” Cindy dimmed with piercing eyes. Cindy’s nostrils flared as I nodded nervously, sharing a look with Charlie—who scooted a few inches back from the potential crossfire. “Oh, here we go again,” Cindy huffed, eyes rolling. “Another couple trying to compromise me and Gerti’s wedding day,” she hissed, puffing out her chest as a sign of dominance. “Compromise? 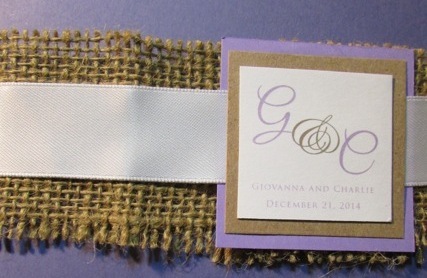 We booked our venue well in advance,” Giovanna fired. “What day did you book yours?” She snared. “February second. BOOM!” Giovanna slammed, holding out her hand for a high-five. Charlie went with it. “Touché,” Cindy mumbledrubbing her chin, trying to formulate a comeback. “Well, we’re having a vegan cake, it’s the latest fad,” Cindy punctually stated pulling out her bridal magazine with the words: vegan, gluten free, and extravagant, all struck through with a pink highlighter. Giovanna reached into her purse and whipped out her copy. Charlie and I eyed each other, clueless to what was about to unfold. “We crafted our table numbers from wooden squares, then dyed them,” she flashed a page with the words: Oak, tables, super cute, highlighted in yellow. “Ugh!” Cindy gasped. “That is cute,” she mumbled over her shoulder. To my dear friends Giovanna, and Charlie. Nikolas Wong is the author of the book: The Coffee House, and the illustrator of the novel: Imaginary Friend written by Joel A. Alvarez. Wong has also been titled “the young money of the literary world,” by the Odyssey news. After his recent graduation from the University of Florida Wong now resides in Miami.